MoJoCon brings together broadcasters, journalists, filmmakers and social media specialists from around the world. Now in its third year, the event explores how new technologies – from smartphones to 360-degree cameras – are revolutionising the way we tell stories on television and online. As was appropriate for a show focusing on mobile tech and the media, the RTÉ pop-up TV studio from which we live-streamed our interviews was powered by mobile. It’s an impressive setup: the five studio cameras were Apple iPhone 6s plus smartphones, each kitted with superb quality Zeiss ExoLens lenses mounted on a Helium Core iPhone Rig; the vision mixing and encoding was handled by Teradek Live:Air running on an Apple iPad Pro 12.9 tablet. For day-long power and belts and braces connectivity, the devices were hard-wired to Ethernet, although a wireless setup is perfectly possible too. I would say the only non-mobile component of the studio was the sound: traditional XLR-connected lavalier mics supplied a standard mixing desk, the master output of which fed into one of the mobile devices from which the Teradek software took its audio feed. Here’s a clip from the end of day two where my co-host, the lovely Róisín Ní Thomáin, and I embarked on a quick studio tour. Over two days of the show, Róisín and I interviewed some inspiring broadcasters, journalists and innovators including BBC Sport’s Conor McNamara, Story-Up’s Sarah Hill and Video Journalist Michael Rosenblum. The topics we covered were as broad as How to be an App Store Millionnaire, to The Evolution of 360, VR and AR Storytelling. 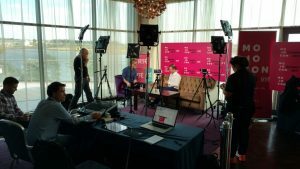 Further technical stuff about mobile studio has just been posted on the Teradek website, and all of the interviews are available on demand from the RTÉ MoJoCon YouTube channel. 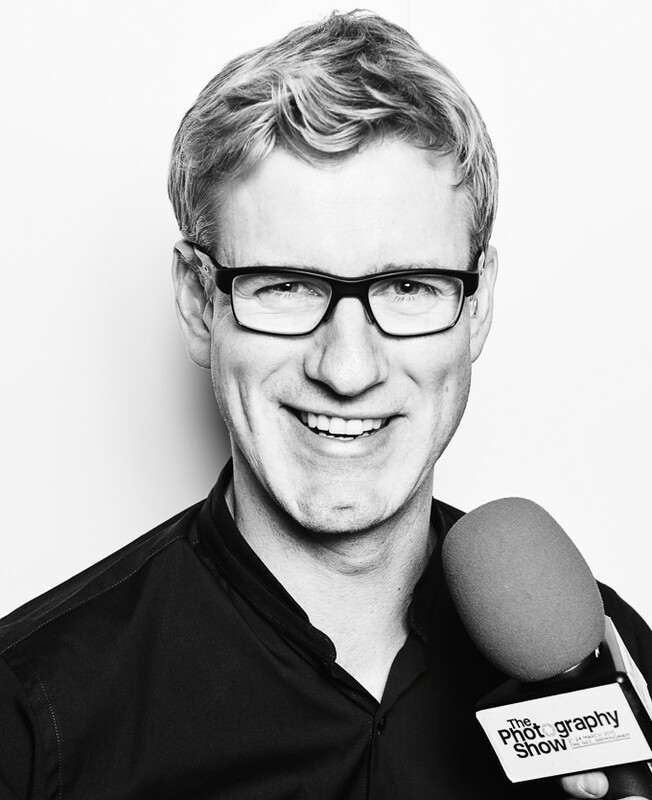 *** LATEST NEWS *** I am joining the presenting team full-time for the all-new Planet of the Apps from summer 2014. Full update to follow. Planet of the Apps is the top show on television for mobile apps and technology, and I’ve been a regular guest throughout this series. Hosted by Adam Savage and produced by Ginx TV, Planet of the Apps airs on Challenge (Freeview channel 46) every Sunday at 10am. On Sunday 29th December I’ll be joining Adam on the sofa once again to review all that’s been good and great in tech during 2013. Tune in to Planet of the Apps on Challenge on Sunday 29th December at 10am, or watch the repeat at 1am. I’m all for helping smartphone users get creative with their handsets, especially when taking photos or shooting video. As exciting as it has been to watch iPhoneography become a hit as Apple’s smartphone platform has evolved, I’m delighted to see Androidography as a movement beginning to mature as well. But while iPhoneography gets lot of attention in press and online, Androidography has so far enjoyed altogether less exposure. 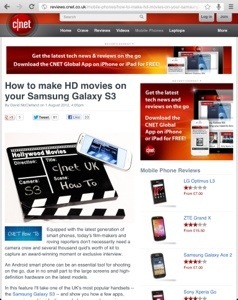 The good news is that CNET UK has recently published a feature of mine on Androidography. 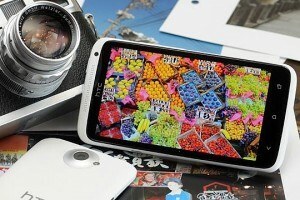 How to take great photos with an HTC One X follows an in-handset workflow, shooting, editing and sharing your shots without stepping anywhere near a PC. While the piece focuses on the HTC One X hardware there’s still a whole lot in there that will be useful to users of other Android handsets, for example the apps and the accessories sections, as well as the general shooting and editing tips. Of course, if shooting video is more your thing you should check out my features on Android videography and iPhone videography, also at CNET UK. 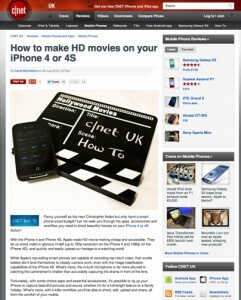 The second of my How to Make HD Movies on your Smartphone features for CNET UK was published last week. This time I focused on videography for the Android platform and used the Samsung Galaxy S3 handset as an example. My iPhone filmmaking feature has been receiving great interest and feedback online too; as always there’s so much more that I could have written about accessories and apps and the same is true for the Android version. I’ll be writing more very soon on mobile journalism and smartphone videography so do keep checking back. Earlier this month I was commissioned by CNET to write a couple of features on making high-def movies with a smartphone. The first of those features, How to make HD movies on your iPhone 4 or 4S, went live yesterday and right now I’m working on an equivalent how to make movies feature for Android based on the Samsung Galaxy S3 – watch this space. In my iPhone feature I mention recently launched service called Newsflare. 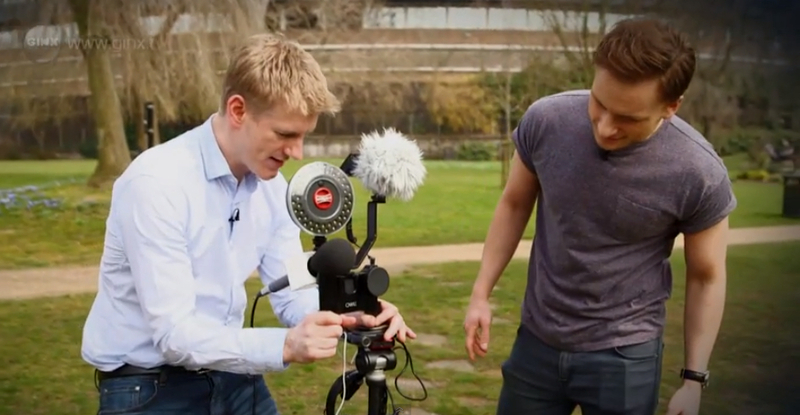 As mobile journalism (‘MoJo’) is a particular interest of mine, I find the Newflare concept very interesting indeed. The Newsflare app lets you upload video footage from your iPhone, either on-spec or in response to an ‘assignment’, which Newsflare will then try to sell to a media outlet for you (obviously taking a cut of your cash for their troubles). I haven’t submitted anything yet to Newsflare, but I’m certainly curious to give it a go. I’m not at all convinced that it poses a serious threat to professional video journalists and cameramen but I suspect it could lead to more of the ‘good enough’ shots of breaking new stories airing before professional news crews arrive to capture broadcast quality footage. A shot in the arm for citizen journalism? I’m currently at Goodwood in West Sussex hosting GoodwoodTV’s coverage of the Festival of Speed 2012. It’s my first time at the Festival of Speed and I must confess I’m rather blown away by the whole spectacle here. Although renowned the world over for its motoring my highlight of the event so far was a display by the Red Arrows – not just your standard fly-past but a twenty-minute-long array of jaw-dropping acrobatics the likes of which I’d never seen (or heard). The fact that so many of the attractions Festival of Speed are as loud as they are fast means it could equally be called the Festival of Noise. To see more videos from the Festival of Speed tune-in to GoodwoodTV’s YouTube channel. I simply must share this delightful video and post by mobile journalism practitioner and trainer Glen Mulcahy. Filmed and edited entirely on iPhone and iPad this short video really shows off the high-quality output that is achievable from iPhone video with the right accessories and workflow. Of course, while I tend to get excited about the technology and the tools here it’s very easy to forget the critical role of the film-maker. Hand over a top quality camera and software to somebody who doesn’t have a story to tell nor know how to tell it and the result will very likely be uninteresting, no matter how technically steady or clear the picture and sound are. The message is that the technology itself ultimately should be transparent to the viewer; these tools are there only to help realise and deliver the story-teller’s vision. That said Glen Mulcahy, a Production Development Manager and Trainer for RTÉ in Ireland, is very much an expert in story-telling too and the work he does within the Mobile Journalism community to develop and share new workflows and technologies is inspired. If this field of work interests you I urge you to check out Glen’s Mulcahy’s blog for his video and mobile journalism technology news and thoughts.